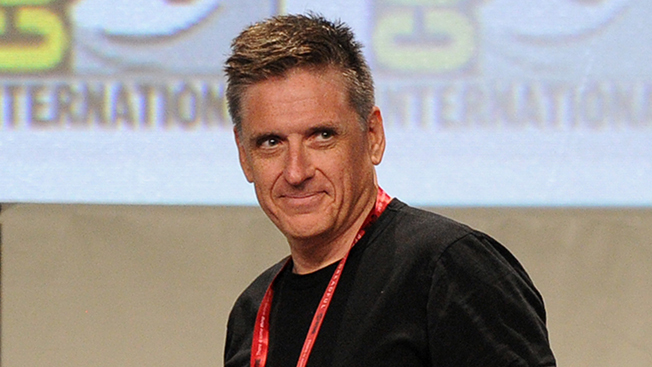 Not only is Craig Ferguson not going away, but he's also showing up everywhere now. As predicted, Ferguson may return to the talk show circuit soon after he steps down as host of CBS' The Late Late Show in December. Variety reported the Scottish funnyman is in final negotiations with Tribune Media Services to host a 7 p.m. syndicated talk show, expected to air in fall 2015 across the company's 42 stations. In April, Ferguson announced he will step down when his contract expires after 10 years as host of the show, which airs at 12:35 a.m. weekdays. It's part of a string of late night shake-ups. David Letterman will also end his longtime gig in December. Ferguson is also set to host Celebrity Name Game, which debuts next month on four CBS-owned stations and 58 stations owned by the Sinclair Broadcast Group. It was previously announced that the show would air on Tribune Broadcasting stations in 25 markets. Debmar-Mercury, a division of Lionsgate, is producing Celebrity Name Game along with FremantleMedia. Broadcasting & Cable indicated yesterday that Sinclair may also be interested in airing Ferguson's new talk show since it has been working with Tribune to clear other programs in various markets around the country.